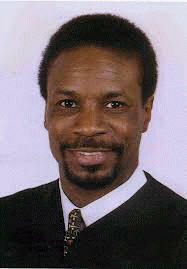 Judge Herman Marable, Jr., a native of Flint, was elected as a 68th District Judge on November 7, 2000. He took office in 2001. He was re-elected in 2006 and 2012. On January 2, 2016, The 68th District Court was absorbed by the 67th District Court thus making him a member of that bench. He was re-elected to the 67th District Court in 2018. Judge Marable earned a Juris Doctorate degree from the Ohio State University College of Law, and a Bachelor of Arts degree in American Public Policy with an emphasis in Metropolitan Studies from James Madison College at Michigan State University. 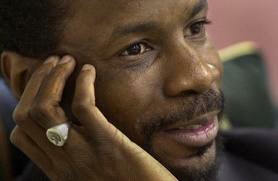 He is a graduate of Roeper School in Oakland County, Michigan. Before taking the bench. Judge Marable was an Assistant Prosecuting Attorney of Genesee County, and an Assistant District Attorney of Allegheny County in Pittsburgh, Pennsylvania. He was the Director of Legal Research and Special Projects for Attorney Kathie Dones-Carson, a Regional Coordinator for the (Donald W.) Riegle for Senate Committee, and a law clerk with UAW-GM Legal Services Plan. Judge Marable is a member of several bar and legal organizations, including the State Bar of Michigan, the National Bar Association, the Genesee County Bar Association, and the Association of Black Judges of Michigan. He is admitted to practice in state and federal courts, including the United States Supreme Court. Judge Marable has received numerous honors, including a listing in the 31st Anniversary Edition (1998) of Outstanding Young Men of America, Black Judges in America - First Edition, Who's Who in American Law, and Who's Who Among African-Americans. A proponent of innovative sentencing, Judge Marable believes that courts should serve the needs of the community. He appointed a Citizens Advisory Committee to receive community input, and established the Judge Marable Student of the Month/Year Program to encourage high school students to focus on education and career goals. Judge Marable also established the Herman Sr. and Iris Marable Senior Citizen of the Month Award to recognize persons over age 60 who have dedicated themselves to community service. Judge Marable has been an active member of many community, political, state, and local organizations.